To recap…The flood of the end times are the lies that are being spread in the churches today, and the lies Satan will be using when he is here as Antichrist to deceive the WHOLE world. Who did it say was cast out??? The great dragon, that old serpent, the devil, SATAN, WHICH DECEIVETH THE WHOLE WORLD. Satan is the antichrist! “Anti” in the Greek means instead of, and therefore Satan is coming in place of, or instead of Christ. The antichrist will not be a man born of woman. God made sure that many of Satan’s names were used in this verse so there would be no confusion as to who the antichrist is. One of Satan’s lies is that a man will be the antichrist, and that he is already here today, but there is no scripture that says that. It’s simply a false teaching that has been taught by many preachers today. That man of sin, the son of perdition is Satan himself. Perdition (G684 apóleia http://biblehub.com/greek/684.htm) means that he will lose his eternal life, and there has only been one person in the bible that is a son of perdition and is destined to perish, that is Satan. Satan has already been judged and is sentenced to death. Satan will NEVER be born of woman, and is a supernatural being, an angel whose description is in Ezekiel 28. Just in case that is not evidence enough that Satan is the antichrist, let’s look at one of his other names, Lucifer in Isaiah 14. In these verses Satan is saying that he will be God, but God is letting him know that for doing this he will be going into the pit! So 2 Thessalonians chapter 2 is where Paul is telling you that Satan will be here first, pretending to be Christ before the TRUE Christ returns. Now let’s get back to where we left off in part 1. Notice how it says in these verses that Christ will return IMMEDIATELY AFTER THE TRIBULATION. This is Jesus Christ himself telling the apostles that He will return after the tribulation of Satan. There are 2 tribulations. The tribulation of deception where Satan is here pretending to be Christ, and then the tribulation where Christ returns and pours out His wrath. So let’s focus now on the rapture. The word rapture is no where in the bible, and Christ doesn’t mention at all that He will come to secretly take the church away while Satan is here. So what does rapture mean? Below are some definitions, and it doesn’t sound like anything our Father would take part in! 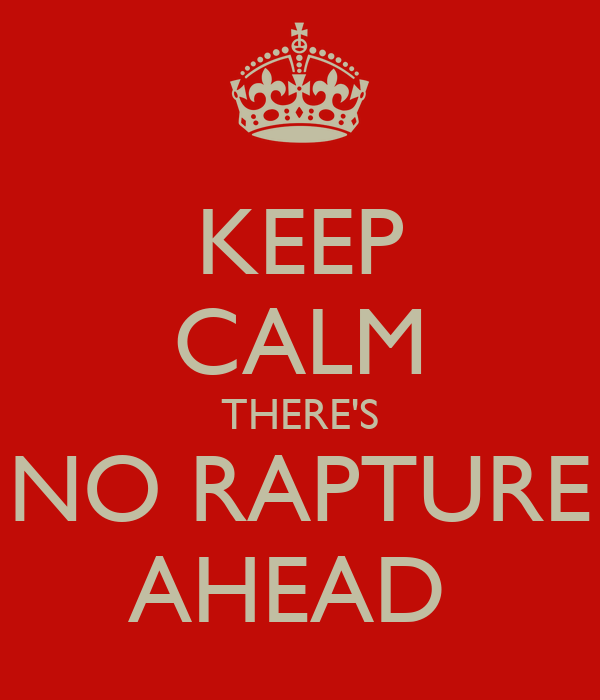 The word ‘rapture’ itself is from the Latin raptus, and it connotes either apocalyptic spiritual overtones or possessive and physical undertones. The origin of rapture dates to the late 16th century, (directly or via French rapere) from Medieval Latin raptura “seizure,” from the Latin cognate raptus, meaning, “seized and taken, kidnapped by force, snatched hold of and then taken hostage, carried off or away.” In Medieval time, raptus was sometimes used to describe the euphoria soldiers experienced after defeating a foe in battle, then seizing the opponent, and taking him away as captive. Greek raptus virginum Sabinarum is a reference to the Sabine virgins, who were raped and abducted. (2) Not found as definition in Webster’s Collegiate Dict. b. Questionable choice of English word as equivalence for Biblical reference. D. Singular Biblical passage that refers to being “caught up” at end time. 2. Greek word for “caught up” is harpazo – used 13 times in N.T. A. The “catching up” of believers, the Church, was separated in time from the Second Coming of Jesus Christ to earth in the teaching of the Plymouth Brethren of Britain, creating a two-phase Second Coming of Christ. Christ will return with His angels in the clouds at the 7th trumpet (see our breakdown of 1 Corinthians 15:50-52 in part one of this teaching https://thefourcarpenters.com/2015/06/29/flood-of-the-end-times-part-1/) and will gather His elect, that is, those who did not worship Satan when he was here pretending to be Christ because they were sealed with the seal of God rather than the mark of the beast, knowing that the true Christ returns at the 7th trump. Remember when Christ returns at the 7th trump you will no longer be in your flesh, corruptible bodies, you will be in your spiritual, incorruptible bodies. The rapture doctrine is one of Satan’s number one lies that the church spews today, and many are so willing to follow because they don’t get into the word of God themselves. Hollywood has even promoted this doctrine, which should send up a big red flag to let you know that it is a false doctrine. If you believe in the rapture doctrine, you will be taken and swept away in the flood of lies, the flood of the end times. Many of the scriptures these false prophets teach in churches today are the exact scriptures God uses to tell the truth about the return of Christ, but due to the watered down versions of the bible, and the lack of studying of the church goer, most don’t even know what these verses really mean. Let’s look at 1 Thessalonians 4 for example. This is the first place most rapture believers go to when trying to prove that there is a rapture, but let’s see what Paul is really trying to say in these verses. If you’re a Christian, you know and believe that Jesus Christ died, was buried, and on the third day arose and came out of the tomb. If you do not believe this, Paul classifies you as ignorant, a heathen, that is, a non-believer. When your flesh body passes, your spirit returns to the Father, it is not in a hole in the ground. So we see that when one dies, his soul goes immediately to be with our Heavenly Father. If you believe this, you are not heathen. It only makes sense when looking at verse 16 that those who are already dead, asleep, would rise first. When they passed, their spirits returned to the Father, which is why they would rise first. This will happen at the last trump, the 7th trump, and THEN Christ will return back to earth. We even have a timeline of events that will take place before this happens. Look at Revelation chapter 11 concerning the 2 witnesses. We find out what events will occur just prior to this seventh trump sounding, and then when we see these certain events taking place before our eyes, we will know our Lord will return to earth next. Then the trump will sound, and the gathering will take place, and we will be changed from our flesh bodies to our spiritual bodies. And not one day before. Many people have images of massive numbers of people flying away, with all sorts of accidents taking place; however, the Bible doesn’t tell us it will be in that manner. In Revelation 11, it tells us exactly three and a half days prior what will happen, and the whole world will know about it, for it is no hidden mystery. That is when the Antichrist will end his reign by killing God’s two witnesses, and send the world into a three and a half day party of celebration. The whole world will know these 2 witnesses as they have been speaking against Satan while he has been pretending to be Christ. They will be partying in the streets when Satan slays them, but they won’t be partying 3 1/2 days later when our Lord and Savior Jesus Christ returns. They will be ashamed, and you will be too if you were looking to fly out of here in the rapture. Those who believe in this rapture doctrine have been given a strong delusion (2 Thes 2:11). They have decided to believe the lies that the false prophets have taught them in churches today, just like Christ warned us in Matthew 24, Mark 13, and Luke 21. They won’t be sealed with the seal of God in their forehead, and therefore they can and will be allowed to be taken by Satan and his lies. So what about these clouds in verse 17 of 1 Thessalonians 4???? The “clouds” are in reference to a large gathering of people, as Paul used else where also. While the “air” spoken of here, in the Greek is “breath of life”; we will meet Jesus Christ in our “breath of life bodies, or spiritual bodies”. That is the mystery Paul spoke of in 1 Corinthians 15:50-54. “Air” in the Greek dictionary is #109, and is the “breath of life”, your “breath of life” body is your soul or spiritual body. The very body that God breathed life into when He made a living soul (Genesis 2:7). That plainly breaks down 1 Thessalonians 4:13-18, and shows that it is not talking about a rapture at all, so now let’s go to a verse in the bible to show how angry it makes God when these false prophets are teaching this rapture, fly away doctrine. God said, WAKE UP!!!! I am against your false doctrines, pillows, wherewith ye hunt the souls to make them fly. God is against it when you go out to teach the souls of men and women and tell they they are going to fly out of here in the rapture. Remember in Matthew 24:13 where Jesus tells His disciples, “But he that shall endure unto the end, the same shall be saved.” God wants His children to endure until the end. He doesn’t want a wimp that will be in a hurry to get out of here. He already promised to His children that not one hair on their head shall perish (Luke 21:18), so there’s nothing to worry about. God has always provided for His children through times of difficulty. He provided a way through the trials and tribulations. Moses, Noah, and Lot are perfect examples. Now let’s go back to Matthew 24. Christ told you to LEARN the parable of the fig tree, so it is very important that you do so. We have a deeper teaching on this specific study here: https://thefourcarpenters.com/2015/05/30/the-parable-of-the-fig-tree/ for those who are interested. In short, the fig tree generation started in 1948 when Israel became a nation (Jeremiah 24). As we know biblically there are 3 generations. A 40 year generation, a 70 year generation, and a 120 year generation, so it makes sense that one of those generations is the time frame that Christ will return. We have already passed the 40 year generation, but the 70 and 120 year generations are still possible. Father has told us in this chapter and many others exactly what signs to watch for so that we would know the things that happen before Christ’s return. We have been given the season, the generation, and the events that will take place, even marking the last three and one half days. That being when the entire world celebrates the murdering of the two witnesses by the antichrist, Satan. When you see the one world order get set into place, and then Satan sitting in the Holy place saying that he is God, you know that the true Christ will be coming soon! So now here we are back to where we started…Noah & the flood. If you don’t understand the first flood, then the flood of the end times will be difficult to understand as well. The flood in Genesis was a physical flood, but the flood of the end times is a spiritual flood. If you are not prepared or sealed with God’s word, then you will be taken in Satan’s flood just as those who were eating, drinking, and marrying were taken by the physical flood in Noah’s day. The ark of the end days is not a physical ark, but a spiritual ark…it is the word of God that you need to be standing on. If you aren’t grounded in the true word, you will be swept away in the flood of Satan’s lies. These final days of this earth will be exactly as it was in the days that Noah was on the earth, just prior to his entering into the ark. In part one of this teaching we went over Genesis chapter 6, and Jude 1 to show you what was going on in those days. Fallen angels had left their habitation and came down to mate with women, thus creating hybrids, the nephilim, that is giants. These angels will be returning in the last days, with Satan when he is cast down, and their agenda is the same. That is why you are to keep a covering (Christ) over your head. So what will people in this last generation be doing at this time? The exact same thing that took place in Noah’s day! If you think that seems far fetched, just look what is going on in the world today. 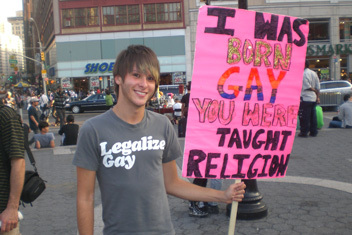 All matter of evil is made good, the supreme court has now made gay marriage legal, they are promoting it in schools, on television, and pretty much everywhere you turn around. What is good is now considered evil, and what is evil is now considered good (Isaiah 5:20). Churches are actually catering to this type of perversion now, and are calling it okay. The churches have taken on pagan practices and defile God’s true Holy days. Before Christ’s return the whole world will be accepting of these doctrines because they have been indoctrinated by the Kenite’s through their four hidden dynasties (political, economical, religion, education) to believe that there is nothing wrong with what they are doing. Most have been brainwashed since birth with these doctrines, and then continue to spoon feed it to their children, and so on…If you are not one of God’s elect, then when these fallen angels return to earth with Satan, you will follow everything they say and do because you think you are doing what is right. Just before Jesus Christ returns to earth these angels will be working miracles, with their leader, Satan, and this is possible because they are supernatural, just like Satan is. They are not of flesh or human substance. What happened in Genesis 6 is going to happen again, so make a point of getting to know that chapter. Just like in Noah’s time, the people of this last generation will be living it up. They are so oblivious to what is actually going on in the world because they are more concerned about pleasing themselves. Their jobs, cars, homes, friends, social life, television, sports, reality tv, video games, vacations, partying, ect. keep them too busy to focus on the word of God, and the signs God told us to watch for. They were too busy to heed the warning from their loved ones who wanted to make sure they weren’t deceived. They laughed and made fun of Noah for building an ark, and they will make fun of you when you try to warn them of the false Christ returning first. God told us in Ezekiel 33 to warn them though, so their blood would not be on our hands, if they decide not to heed the warning, it’s on their own hands. During the reign of the Antichrist on earth, your family and friends, will think of you as some sort of nut that has lost mind. They will be so convinced that Satan is the true Christ, if it were possible they would kill you for him, but it will not be possible. Then the seventh trumpet shall sound, and the entire earth will see Christ coming in all His glory, with all the saints, and terror will streak through their minds, for they will see and know how they have been deceived. These are some more verses many use to confirm in their mind that there is a rapture. Those who teach that they want to be the first one taken do so in ignorance. The ones taken in the flood of Noah’s time were those who were not on the ark, and those taken in this last generation will be those taken by Satan’s lies. They won’t remain working in the field until the true Christ comes. So what can you do to make sure you aren’t taken by Satan and his flood of lies? You need to be on watch. If you are on watch then you will see the 7 events Christ told you of in this very chapter of Matthew 24, so that you can recognize the season that He will return. Paul tells us about this in 1 Thessalonians 5. Why would Christ come like a thief??? Because those worshiping the false Christ, Satan won’t be on watch since they believe Satan to be Christ. Those who have read and studied God’s word, and have not put their trust in man, but in God will know what His word says about the return of Christ, and won’t be taken like a thief in the night. You will not know the instant, but you can know the hour. The hour Christ is talking about is the hour of temptation (Revelation 17:12). This is done by recognizing the antichrist at his arrival, and his army of fallen angels as well as knowing when the one world system totally comes into being. That one world system is the beast, and it will receive a deadly wound. That is when Satan and his angels will put it all back together. 3 And I saw one of his heads (think of this as heads of government) as it were wounded to death; and his deadly wound was healed: and all the world wondered after the beast. 4 And they worshipped the dragon (Satan) which gave power unto the beast (the one world government): and they worshipped the beast, saying, Who is like unto the beast? who is able to make war with him? Why wouldn’t you be able to make war with him? Because it is a political system, a world political system, and it wouldn’t be possible to make war with a one world political system. Nor would anyone try. We already see something similar to this right now with the United Nations. Celebs, doctors, humanitarians, ect. do all kinds of things for the U.N. while the U.N. get’s all the praise. After all, they help out worldwide with medication, food, aid, protection, ect. This is very similar to what the one world government will be like! God’s elect will escape from that hour of temptation, for they don’t find Satan and his system tempting to sell their soul for. They see right through his lies, and they find him to be an abomination! Those who continued working in the field, planting seeds, and working for God are those wise and faithful servants. The wise servant over the household of Christ, of the fellow Christians, is the one that gives the members of the body of Christ the meat of His word, and not milk. That is God’s word taught in full, and meat in due season, this season, the season of the parable of the fig tree, when these events will come to pass. Milk will not sustain a person physically or spiritually, but meat will. We know that in the last days, the famine in the land is for the word of God (Amos 8:11), so it is these servants of Christ who try to prevent the body of Christ from starving by teaching the TRUE, meat filled, word of God! Christ is going to bless those who are still working in the field when He returns. Those who are found working will be those who teach and rule in the millennium. Ezekiel 39-48 go over exactly what will be going on during the millennium, and they are very important chapters to know and understand. The last few verses of Matthew 24 are pertaining to those who would say things like, “Oh, we’ve been hearing about the end times for thousands of years, and nothing has happened.” They mock God, and continue to live their life pleasing themselves rather than God. They laugh at the ones who would warn them of what is actually going on in the world. They scoff at those who try to share truth with them. They say, “oh that’s just a conspiracy theory” when you try to point out what the Kenite’s are doing through their four hidden dynasties. Jesus states right here in verse 51, what will happen to those who don’t take the warning of what is to come seriously. “And shall cut him asunder, and appoint him his portion with the hypocrites”, those Kenite’s, the scribes and Pharisees that also led God’s people into false doctrine, and ripped them off in Jesus’ day. Where they go, and what happens to them, is what will happen to you!!! It will be so sad the day when Christ returns and sees those who said they were Christians, but they whored after Satan when he was here pretending to be Christ. They nursed along his doctrine and his deeds. They left their first husband. They did not remain spiritual virgins because they hopped right in bed with the antichrist. They will be so ashamed when Christ returns for what they have done. You don’t have to be ashamed if you truly put God first, get into His word, so that you may have eyes to see and ears to hear. If you love Him, you will do this! That is all He wants, your love (Hosea 6:6). This teaching was to warn those who have already been “caught up” in the lies and false doctrines that are being preached at the pulpit today. If you study God’s word yourself, He can remove the blinders from your eyes so that you can see His truth. The peace of mind that comes with knowing His true word, and how He will protect you is much better than a sweet lie of flying away in a false rapture. If you are blessed enough to already know this truth, please make sure you are planting seeds with others. It’s not always a popular thing to talk about, but God can water that little seed, and you can watch it grow!